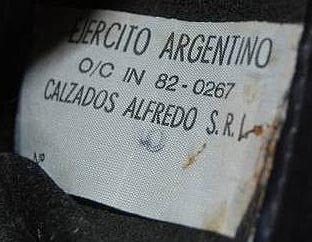 The tread patterns of the Argentinian military boots soles were easy to recognize and identify clearly the traces, as the British troops during the Falklands/Malvinas war used another type boots - the so-called DMS (Directly Moulded Sole) boots, to a lesser extent - the civil mountain boots manufactured by "Alpine" company. 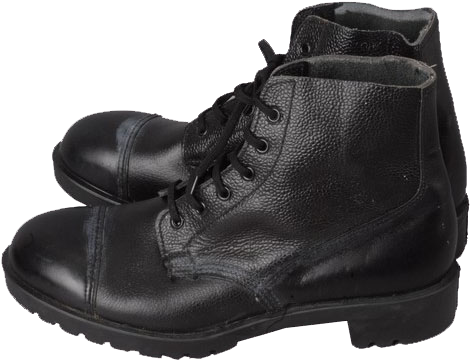 According to some evidences coming across the specialized forums, some British soldiers privately used the Swedish military boots of the years 1960s-1970s, brown and black in colour. The Swedish brown boots, rubberised in their bottom part, proved to be very good in damp and cold climate of the South Atlantic. The British DMS boots, on the other hand, proved to serve badly, they are often blamed on the forums by the British veterans of the Falklands War themselves. 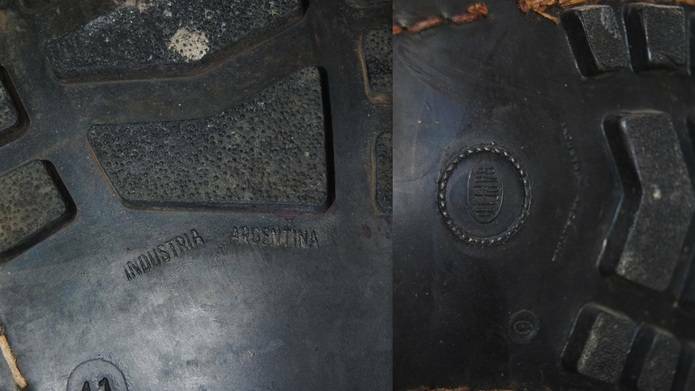 There are also some mentions on the specialized forums, that some of the British soldiers preferred to replace their regular military boots on trophy Argentinian boots, which had better quality, if they managed to find such. There are similar witnesses about the first Gulf War in 1991. 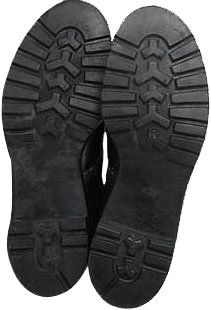 The statutory boots, which were issued to the British troops in the initial stage of the operation, didn't survive the harsh climate conditions of the Iraqi desert - so the regular black boots just crumbled and the out-soles simply disintegrated. Therefore, some of the British had to use captured Iraqi boots. Actually it is hard to say whether these allegations are true or not. 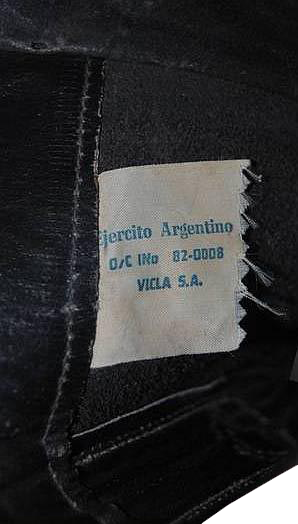 After the defeat in the conflict of 1982, the Argentinian military junta fell down. The victory of the UK strengthened the self-confidence of the British military, consolidated the nation in overcoming financial and economic problems, empowered the national pride and the international prestige of the country. 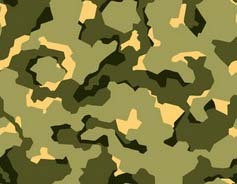 It became clear that Britain was not a "decrepit lion", and it can stand up for themselves, including the use of the Armed Forces. The UK fought for the Falklands/Malvinas not in vain. Except for the issues of reputation, strategic matters and defending the territory, these islands were extremely important in terms of energy. One of the British companies found huge oil resource offshore the archipelago, and in 2010 Britain began the piercing operations. The Argentinian protests led to strengthening the British military contingent and naval exercises in the area. By the way, both sides also claim the territory of the nearby Antarctica. Argentina responds by creating obstacles to the passage of vessels under the British flag and began legal proceedings against five British oil companies that conduct geological exploration offshore the Falkland Islands. 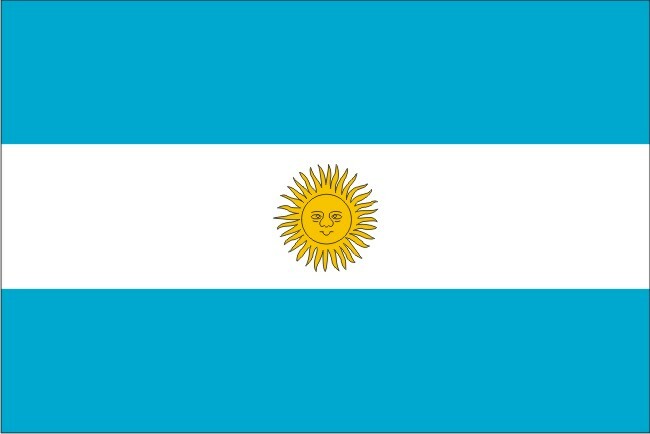 Cristina Kirchner, the Argentina's president, announced the return of the Malvinas Islands under the jurisdiction of Argentina, while adhering to relatively peaceful methods (at this stage) of this problem solving as the main task of the Argentinian foreign policy.